Completely wireless and portable ListenTALK assistive listening system designed for immediate setup and go-anywhere convenience. Offer your clients, customers, and students a complete assistive listening solution wherever it is needed with the ListenTALK ADA system. The LKS-4-A1 meets all IBC and ADA requirements for rooms with a capacity up to 75. 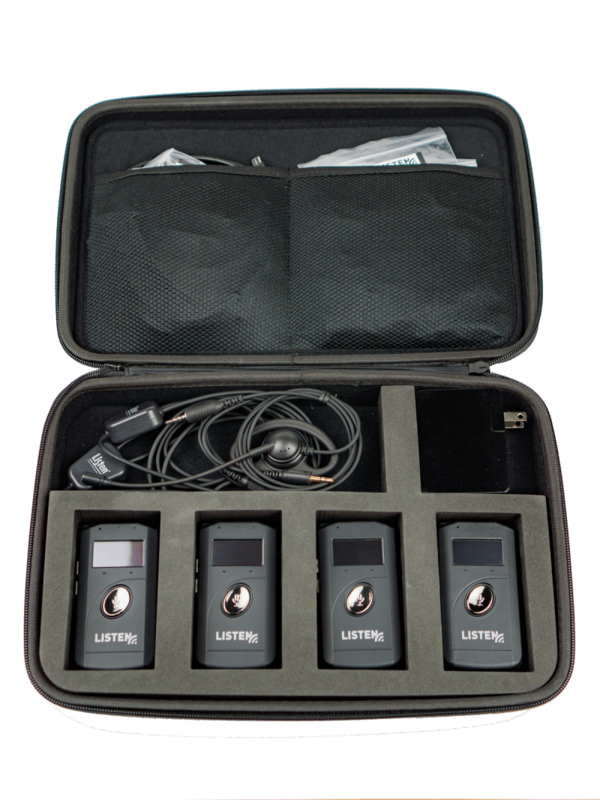 The portable system is easily transported and stored in its own carrying case and is ready to use in less than a minute. From classrooms to conferences, boardrooms to houses of worship, the LKS-4-A1 gives you a complete package to begin offering on-demand assistive listening right away. 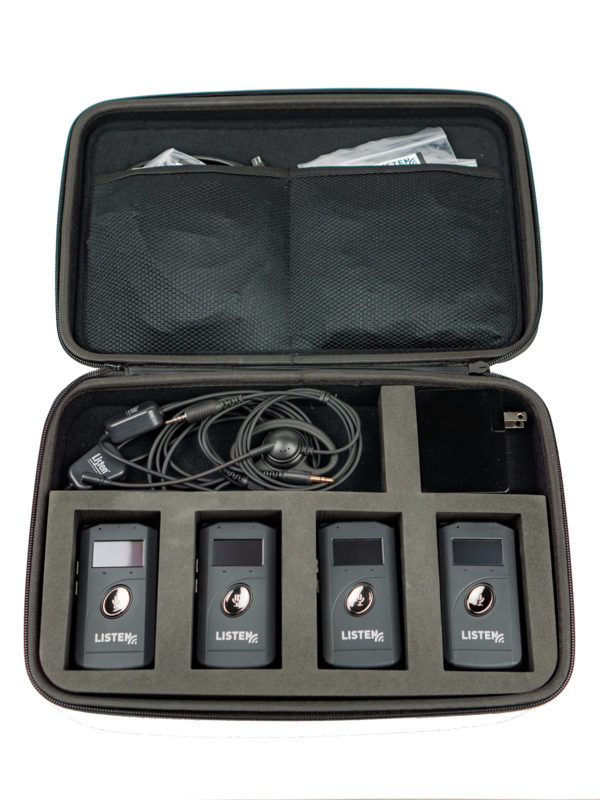 The LKS-4 ListenTALK Portable ADA Kit is specified.